The Vauxhall Corsa is as much a part of the fabric of British life as lacklustre sandwiches or arguing about Brexit. We're at the point now where it probably doesn't matter whether it's any good or not - it's become an automotive meme. While you're here, we'd love you to subscribe to our YouTube channel. All you have to do is click here. Thanks. Well for me it is a toss up between the Polo and the C3, did i really type that? Cheap? 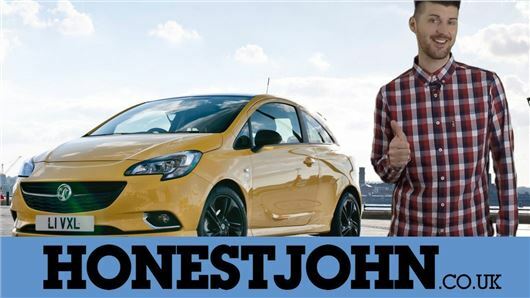 When were Vauxhall's ever cheap? That ambient noise sounded high in the video. And safety ratings are nothing special, ah, but it is supposedly cheap. Does that make it's average safety ratings acceptable then? Especially in a small car, I would want safety maximised. If its a Vauxhall it will be one of the worst engineered cars available in the UK. You even show two other makes that are better. The motoring horror stories I have heard in my 50 years on the road usually involve a Vauxhall. And check-out the recalls. They're usually on the list and specialise in spontaneous combustion. I think they sell well because people think they are buying a British made car (being patriotic), when it has belonged to GM for decades. They sell well because a significant number of Brits are brain dead m****s. There are loads of other makes that are far better engineered and much better vale. If I wanted a small car, I would go visit a particular manufacturer, and it 'ain't Vauxhall..